state-of-the-art tools I use to help provide an accurate nutritional assessment and consequently, create a personalized nutrition plan. The SpectraCell Micronutrient Testing measures 35 key micronutrients — vitamins, minerals, amino/fatty acids, antioxidants and metabolites — linked to health and disease are actually functioning within your white blood cells. Your body needs these micronutrients in order for the body to produce enzymes, hormones, and other substances essential for proper growth, development, and good health. This test allows nutritional assessment for a broad variety of clinical conditions, general wellness and the prevention of chronic diseases including arthritis, cancer, cardiovascular risk, diabetes, various immunological disorders and metabolic disorders. Learn more about SpectraCell Micronutrient Test. PureGenomics Nutrigenomics is a unique individualized nutrition solution that uses 23andme and ancestry.com DNA technology. 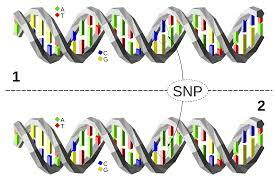 PureGenomics addresses the most important research-based nutritionally related genes. Based on your genetic results and I develop nutrition strategies — both whole foods and targeted nutrition supplements — to support your genetic SNPs that may be expressed.